A mixture of 40% soil, 30% sand and 30% perlite is my recommended growing medium. 1. Dip the cutting into the rooting hormone. 2. You can wait until the dipping area is dry or sink the cutting into the pot immediately. 3. Press and firm the mix down and add more if needed. 4. Next, water it in until water drains out the holes daily a time. 5. 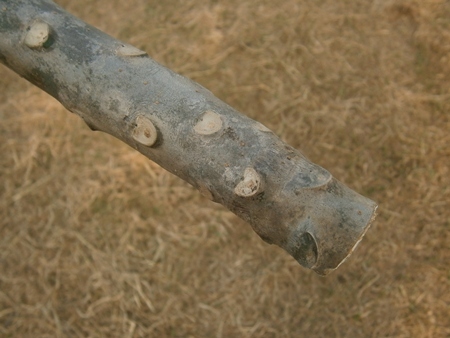 To prevent rotting, using fugicide at first watering is recommended. 6. Finally, place pot in a warm sunny location and let it grows. 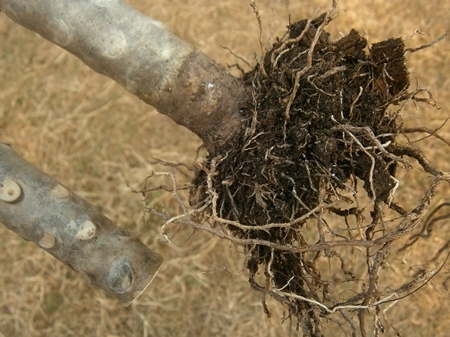 It takes about 2-3 weeks to develop roots and sprouts new leaves. 7. After that bring it out to full sunlight location. 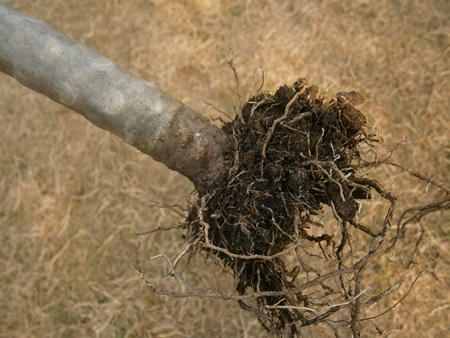 It takes about 2 months to develop a full root ball as per the pictures!